Understanding your today . . . Helping build your business towards a better future. 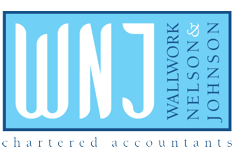 At the core of WNJ’s business is the general provision of accountancy services. Our approach is to adapt our service to fit individual Client requirements and has been designed to be a precise and cost effective. We pride ourselves on our ability to provide a tailored and efficient service, consistently meeting your specific business aims and objectives. Our approach is to interpret the figures to clearly explain the link between trading performance and your financial statements. We have found that this not only can improve our Clients’ understanding of their business but also allow business owners to make positive and informed decisions. WNJ assists its Clients by providing timely and precise management information, accurately meeting individual requirements. Information is provided to help you plan your business operations, compare actual results to forecast and, most importantly, develop strategies to improve performance. Our team will meet regularly with you to help prepare budgets and forecasts, assess the performance of your business against target and advise you on areas for improvement.